Ramy’s Garage Car Care offers complete clutch adjustment services for both domestic and foreign vehicles at our Galleria Area service and repair shop. 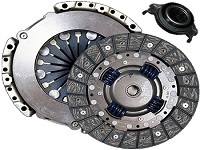 If the clutch in your car or truck slips or your is hard to shift even when completely pressing the clutch pedal down, a clutch adjustment is overdue and you should schedule an appointment at our Ramy’s Garage Galleria Area shop as soon as possible or call us at (281) 661-8180. Ramy’s Garage Car Care offers complete auto and truck clutch installation services. Our expertly trained mechanic staff can return your clutch to top performing condition making sure each and every shift of your vehicle is a smooth and effortless one. Ramy’s Garage Car Care offers complete clutch slave cylinder service at our Houston ,Texas transmission shop. The clutch slave cylinder in your vehicle plays a key part in your vehicle’s performance to when it is time to replace it, that replacement should be completed as soon as possible. 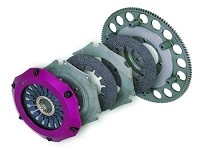 Some of the expertise in auto clutch repair we bring to maintaining your engine are: parts knowledge and supply, quality, technical fitting and replacement knowledge and fast, friendly service. Ramy’s Garage is one of the leading clutch repair and transmission specialists in Texas. Ramy’s Garage is the number one stop for all of your clutch repair needs. With over 54 years of experience we have gained competitive experience in Clutch Service & Repair. Ramy’s Garage Car Care offers complete auto and truck clutch installation services. Our expertly trained mechanic staff can return your clutch to top performing condition making sure each and every shift of your vehicle is a smooth and effortless one. Ramy’s Garage Car Care offers complete truck and auto clutch repair and service at our Houston, Texas transmission and repair shop. We recommend that the operating linkage of your clutch should be checked periodically at our Houston Galleria shop to help you avoid early failure and keep your auto or truck in top performing condition. Call us today to get a free estimate or fill out our online quote form and one of our specialists will promptly get back to you with an estimate. We are friendly and attentive and we do everything we can to make you feel welcome. We’re always happy to answer any questions about our shop, your car, or give advice about anything automotive related. You can call Ramy’s Garage at (281) 661-8180 or stop by convenient Galleria location 3361 Fountain View, Houston,Tx 77057. Let us know how your experience was using Ramy’s Garage for your auto needs, call one of our Customer Service Reps at (281) 661-8180.